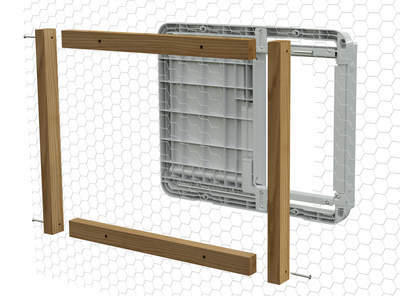 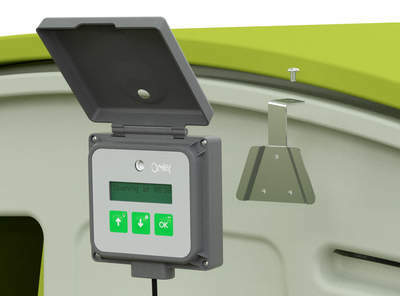 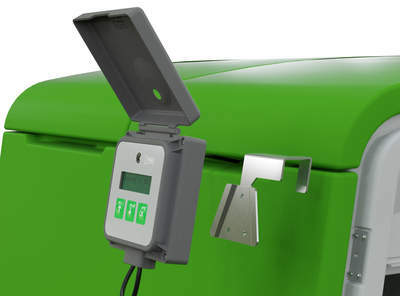 The Omlet Autodoor comes with everything you need to attach it to an Eglu Cube Mk2 or a Wooden Coop. 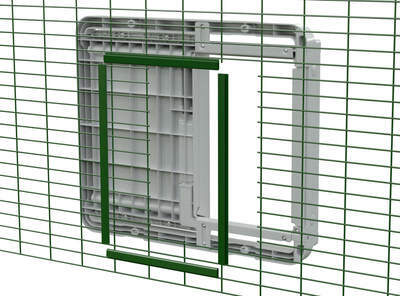 If you want to attach it to an Eglu Cube Mk1, an Omlet chicken run or traditional chicken mesh you will need one of the attachment kits below. 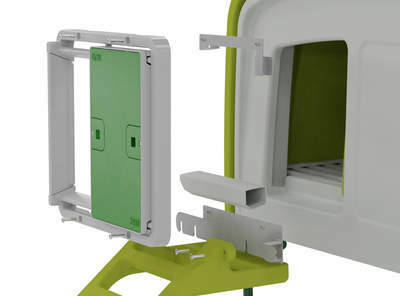 Mounting brackets are also available to attach the control panel to the Eglu Cube house.